"I pledge to clean, drain, and dry my gear after every use"
OK, I'll Take the Pledge! Clean your gear with water and a stiff brush, removing any materials. Use the water you've just fished in or a clean water source. Drain any standing water from your gear. Use a sponge to get water out of any undrainable spaces. When possible, completely dry your gear before you use it again. Sunshine is best; air or a heat-source work, too. Only release live fish in their home waters. Don't dump bait. Drain your boat & livewell before leaving the access site. It really is this easy. Take these simple steps every time you fish to be sure you're not moving invasive species from one waterbody to another. What is the best way to clean my felt boots? Whether you have felt or rubber boots, there are a couple of simple steps to take when cleaning. As you get out of the water, take a good look at your boots and waders and remove any visible things you see. Then rinse the gear in the water that you are getting out of. A small hand brush or a 5-gallon bucket are helpful tools that can remove debris. The final step is to thoroughly dry your gear in the sun until dry to touch. In short, always remember to clean, drain, and dry your gear! If I use rubber-soled boots, do I need to clean them? Absolutely! Rubber soled boots minimize what can attach to boots but we all know that our boots can still hold mud. More importantly, the bottom of a boot is only one place where invasive species can attach. The boot uppers, laces and waders themselves can all transport invasive species. No matter what the material used, it is important to clean, drain, and dry our equipment. If I can't clean on-site, where should I clean my gear? If you leave the take-out without cleaning your gear then you must make sure you clean in a "safe" place as soon as you can. You should still inspect your equipment and remove any noticeable debris before leaving the site. A safe place to clean your gear would be on a lawn with the use of a garden hose. It is important to make sure that dirty water will not leave the lawn to enter surface water. Another good location for cleaning larger items is the car wash. Avoid cleaning at any place where the waste water could run overland to a sewer or other water transport system. Is it safe to clean my boat at a carwash? Most waste water from a car wash enters a municipal waste system where invasive species will be destroyed by the water purification process. However, be mindful of the layout of the car wash - does the dirty water enter a drain or does it simply hit the sidewalk/road or flow to open water. If this is the case, this type of car wash may not be an ideal location to clean your boat. What if I can't dry my boots between use? The recommended combination of clean, drain, and dry are very effective at minimizing the spread of invasive species. If you are unable to dry your gear, ensure that you have very carefully inspected and cleaned your gear. If you consistently cannot dry your gear consider keeping more than one set of boots that you can dry thoroughly between alternating uses. Is freezing a good method for cleaning? Freezing your boots, waders or other water soaked equipment is a good way to kill many invasive species, but don't forget to clean, drain, and dry your gear, too. Can I use bleach or Formula 409 on my boots? Bleach or Formula 409 cleaner when used as a quick spray have been shown in several studies to be completely ineffective in killing invasive species. We strongly discourage the use of chemicals to clean your equipment. If you follow the simple clean, drain, and dry steps, you will do better than using chemicals. Are there other tools I can use to clean my gear on-site? A small hand brush can be used to scrub boots and other equipment to remove debris. A bucket can also come in handy for rinsing equipment. Companies are beginning to offer products that help make cleaning easier. For example, the Waterworks/Lamson created the Gear Shower© to help make streamside cleaning simple. If I fish the same stretch of river all the time, do I still need to clean? When you go back to the same water every time, cleaning your gear is not critical. But, it is a good idea to get into the habit of cleaning your equipment after each use. Your cleaning actions serve as a reminder to others that you think the health of your local waters are important. If you are a fishing guide, cleaning your equipment serves as a good role model to your incoming clients. Encouraging your clients to clean their gear will help keep your home waters healthy! If you have anyone fishing with you who has come from another area be sure to wash their boots in a safe place before you go to the water. This will help to protect your home waters from invaders. If a stream has invasive species in it, does it matter if I clean or not? If you are fishing a stretch of water that you know has a particular invasive species in it, this should be even more reason for you to clean your gear. Your actions of inspect, clean and dry will help minimize the spread and concentration of an invasive species to a new location either within that body of water or beyond. I think I've found a new invasive species on my gear - what should I do? If you think that your gear or boat might have an invasive species attached to it, you can report it. 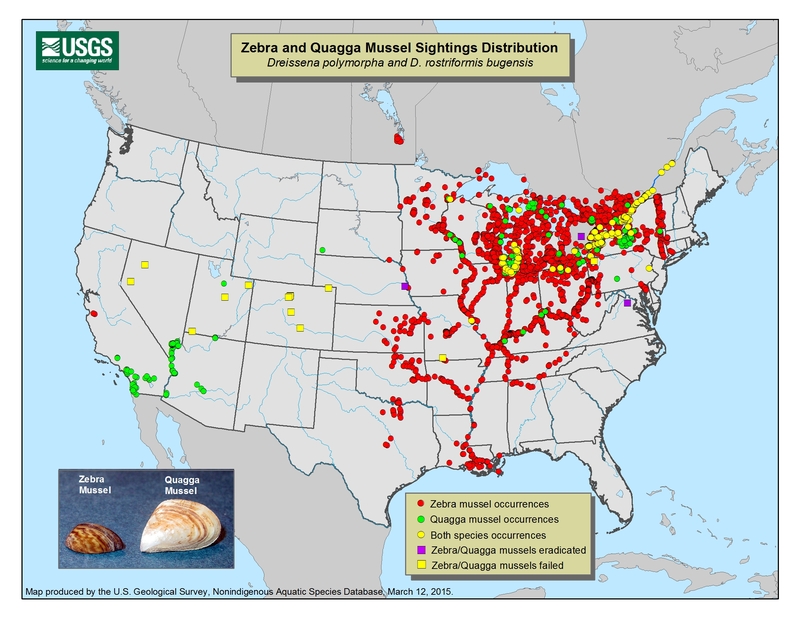 An aquatic invasive species reporting system sponsored by the U.S. Fish and Wildlife Service and the U.S. Geological Survey is available to report aquatic invasive species sightings online or call 1-877-STOP-ANS, to speak to a live person at any time, day or night. Help spread the word, not invasive species! Share the message with other recreationists in the fly or tackle shop, on the water or at the ramp, talk to friends and family, add the Pledge and pledge logo to your Facebook page, send a tweet, mention the Pledge and put the logo in your newsletter, on your website or in your publications. Thanks for your help! Working together, we can keep our fisheries clean and healthy. The Clean Angling Pledge is supported by many organizations, companies, and individuals. Currently, questions about the Pledge are handled by the Invasive Species Action Network.